High quality, Japanese stainless steel blade (9 cm). 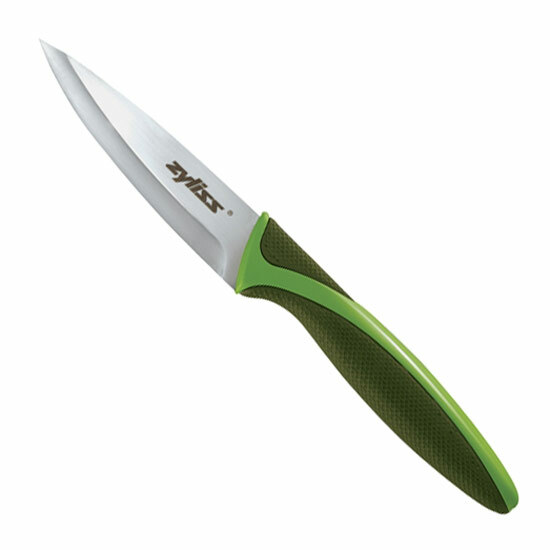 Soft touch rubber handle for cutting precision and control. Safety blade cover. Zyliss of Switzerland guarantees this product against material faults and operating errors for 5 years from the date of purchase. If the product malfunctions when used for the purpose for which it is intended, please return it to your dealer, along with the receipt, to make good your claims under guarantee.